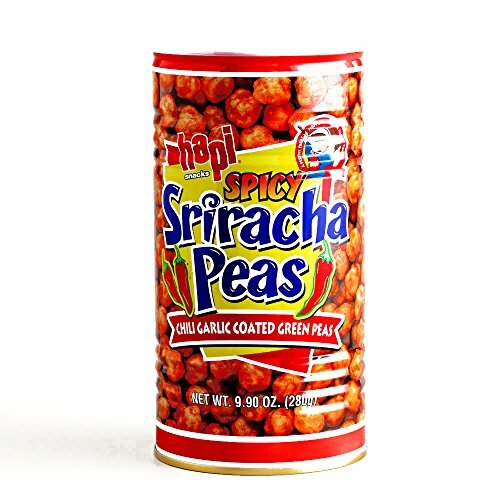 Made with roasted green peas coated with chili and garlic, Hapi Spicy Sriracha Peas pack a fiery punch. Perfect for game day or an afternoon pick-me-up, these spicy snacks burst with the zesty flavors of Thailand. View More In Wasabi Peas. If you have any questions about this product by Hapi Spicy, contact us by completing and submitting the form below. If you are looking for a specif part number, please include it with your message. Dried Green Peas-Wasabi, 11 lb-Candymax-5% off purchase of 3 any items!